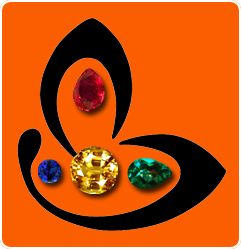 Natural Ruby | Natural Ruby Rings | Ruby Stones | Mooladhara Chakra | Mooladhara | Root Chakra. 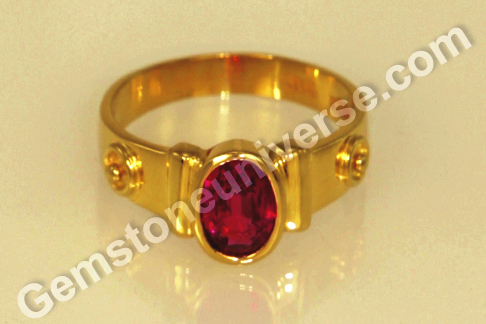 Ruby is a gemstone that represents the powers of the Sun. just as the Moon represents the mind; the sun is the natural significator of the soul. A strong Sun gives an individual a powerful and enabling sense of self – very healthy ego. Ruby is the gemstone of the Sun and is the gem of the Mooladhara chakra or the root chakra. Issues related to emotional self, identity and material world can be addressed by balancing the mooladhara with natural ruby energies. Ruby has intense energy, heat and treats incisively. It is a gem that gives an individual the wherewithal to make a success of ones life – definitely be in the above average category. It can help neutralise inner demons and negative thinking. If you are looking at discovering your core strengths and making material as well as soul level progress, then ruby is the gem for you. Featured today is a fully natural treatment free natural ruby from Mozambique. The oval cut ruby has a good weight of 1.48 carats and has excellent lustre as well as clarity. This fantastic jyotish quality ruby has been set in 22 karat gold as a Sun talisman ring.According to Vedic astrology, Natural ruby or manik gemstone is the gem of Sun/ Surya and is used to harness his powers for planetary gem therapy.